Is Apple acting as a drag on the SP 500 earnings estimate ? Summary / conclusion: Microsoft and Amazon have to see their fiscal 2019 and 2020 estimates updated as well, but Apple’s continued negative revisions will weigh on the stock and the benchmark’s forward estimates since Apple remains the #2 weighting in the SP 500. Obviously, Microsoft is #1 now. The year-over-year growth of the SP 500’s forward estimate has slowed to its lowest rate of growth at +4.2% since the correction began in late Sept ’18. 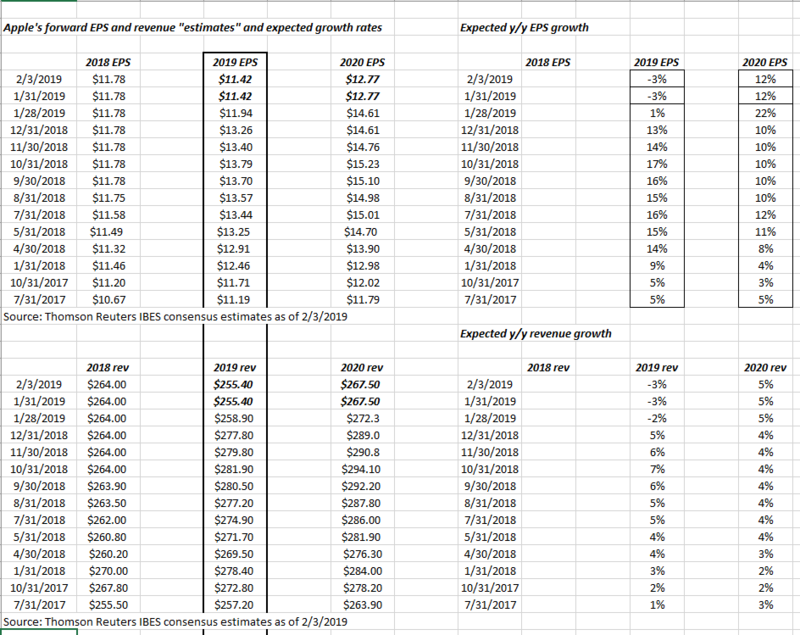 I do expect q1 ’19 to be the earnings trough for this cycle, with the shutdown now all but resolved.